Real estate company Kummatti sell real estate to maintain the required services. The company employs 12 real estate professionals. In Suitsikatu 4 is a laundry for rent. There is a washing machine with a weight limit 14kg. In the laundry there’s a possibility to carpets washing by hand and make a mechanical drying. Rent is 30 € / hour / machine or 20 € / hour / machine for our residents. 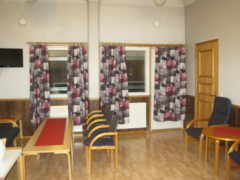 In Suitsikatu 4, in the seventh floor is a sauna facilities. There is a space for 10 people to spend time in the same time. 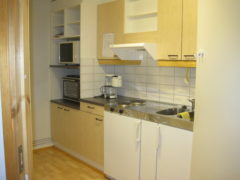 The is also a small kitchen with microwave. Rent is 100 euros/per evening. Reservations at 044-710 7379.